We understand how busy modern life is. It’s not always easy to find time for routine dental care, much less more advanced cosmetic or restorative care. That’s why we’re committed to serving your entire family, including its youngest members; you have enough to do without having to visit one dentist for yourself and another for your son or daughter. Plus, with back-to-back appointments at our Fort Worth dental office, you can all see Dr. Tillman on the same day, reducing your number of overall visits. That’s just the beginning of what makes our office a special place for dental care! Every day, Dr. Tillman draws on a wealth of hands-on experience and continuing education as he cares for his Fort Worth-area patients. Maybe you have a missing tooth you want to replace with a dental implant, or you’re interested in porcelain veneers, wisdom teeth removal, or orthodontics. Dr. Tillman offers exceptional care in all of these cases and so many others. Regardless of your age, we will listen to your questions as we help you understand your needs and treatment options. 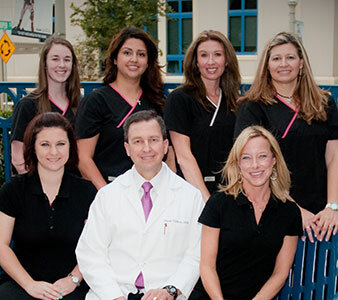 We’re committed to providing personalized general, cosmetic, and restorative care to every patient we see. When you have a dental emergency, same-day care is very important—especially if you have a knocked-out or chipped tooth. The good news for our Fort Worth-area patients is that we can often see you the exact same day. Besides helping you save or restore a tooth, same-day appointments simply make life less stressful by giving you the immediate and individualized attention you need. Are you experiencing any of the emergencies mentioned above? If you are, don’t hesitate to let our office know. We’ll be happy to schedule the soonest possible appointment for you, in addition to recommending some steps you can take in the meantime to preserve your smile. Providing attentive emergency care is very important to our mission of giving patients an excellent treatment experience.